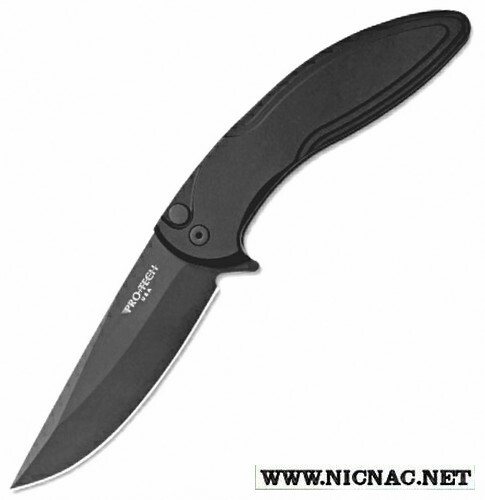 Protech Cambria Plunge Lock Flipper Knife CF03 with a Black Aluminum handle and a 3.5 inch 154CM Drop Point Black blade. Overall open length is 7.75 inches. This Pro-tech Knife is for right hand carry and is tip up with a pocket clip and Made in the USA!